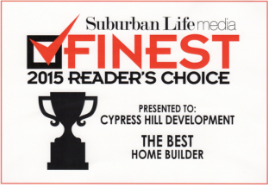 Cypress Hill Development is the premier custom home builder serving Hinsdale and the surrounding western suburbs. Our expertise as a custom home builder in Hinsdale will aid in the design and build process of your new dream home. With 15 years of experience, our local family-owned and operated establishment provides a unique and personalized approach to each of our custom home building projects. To speak with one of Cypress Hill Development’s qualified representatives now, please call 630-241-9330 or fill out the form to the right. At Cypress Hill Development, we consider ourselves the full-service custom home builder solution. We approach your custom home project with the highest priority and work with you not only as your general contractor, but as your design consultant. As your Hinsdale home building partner, we will assist you every step of the way. Your new Hinsdale custom home will be managed by our experienced team of architects, subcontractors, suppliers, and trusted business partners allowing the home build process to run as smoothly as possible. Have peace of mind that your new custom home was built with the highest standards. The workmanship at Cypress Hill Development in Hinsdale is backed with our One Year Warranty. At Cypress Hill Development, we will work hard to ensure that your home building budget is utilized to the highest degree. 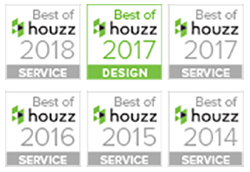 As your Hinsdale custom home builder, we understand the investment that you are making and it is important to us that you get the best value for your investment. Designing and building a custom home is a very personal experience. With Cypress Hill Development as your custom new home builder experts, you will receive the highest quality guidance and customer service. We will ensure that you are completely satisfied with your new home. Contact Cypress Hill Development in Hinsdale at 630-241-9330 and get started designing your new dream home today.